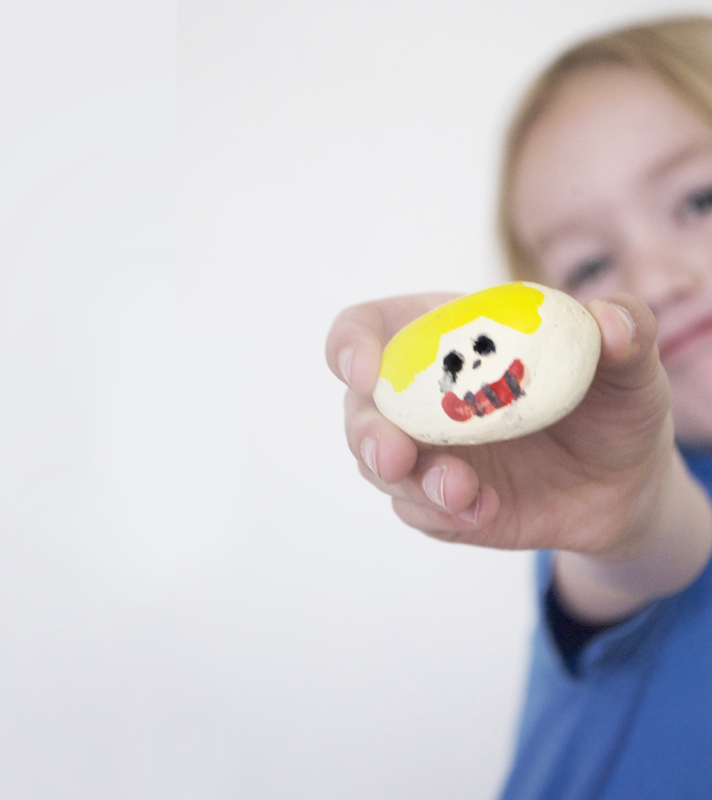 Make a Rock Portrait for Mom! 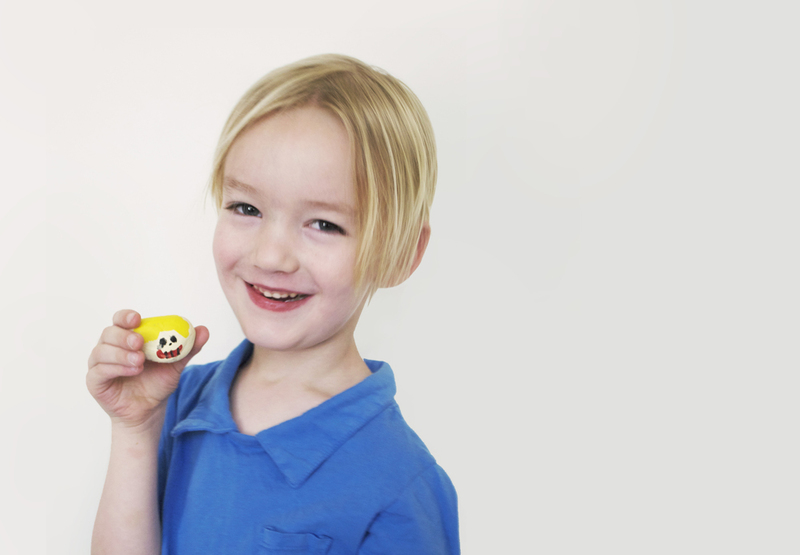 Rock paintings are such a classic craft for kids. 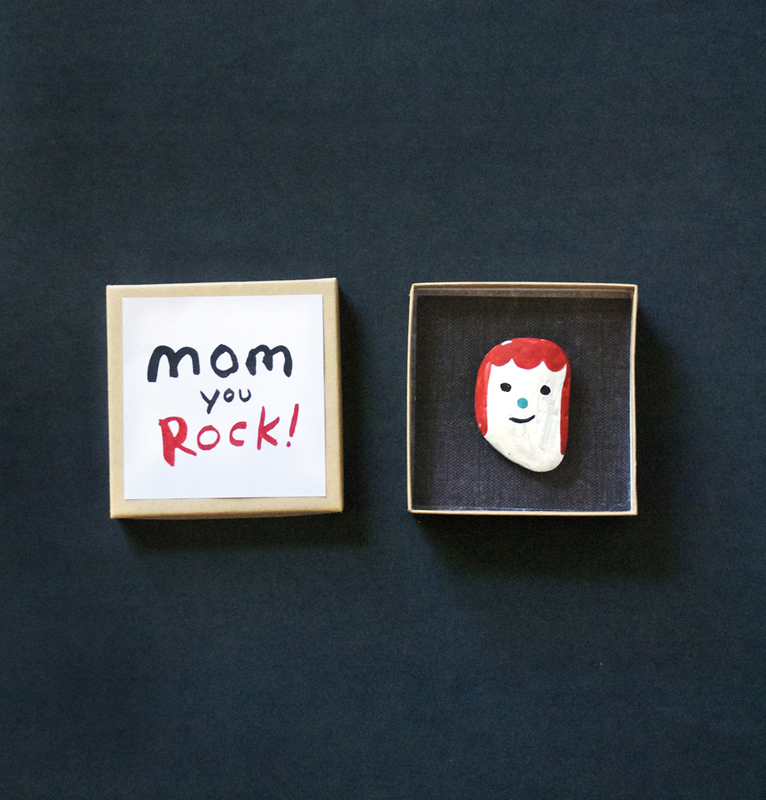 Why not have them paint special rock portraits for Mom this Mother’s Day?! Everyone is sure to have a blast (well at least we did!). As part of Mrs. Meyer’s Clean Day Get Messy Outdoors Contest we wanted to bring in the outdoors and craft with something from mother earth. So rocks it was! 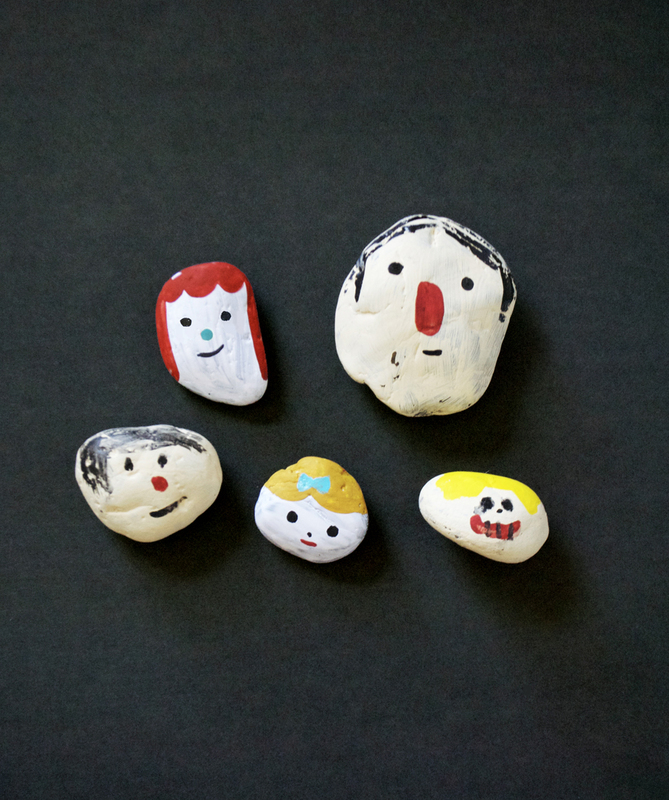 We had fun spending an afternoon painting rock family portraits. The boys really really loved it. 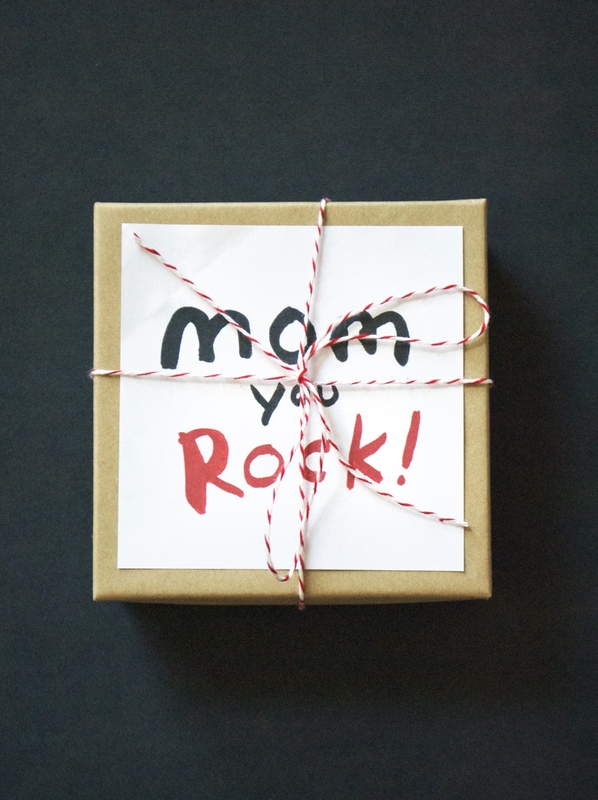 We then packaged one up using a repurposed jewelry box to give away as a Mother’s Day gift. 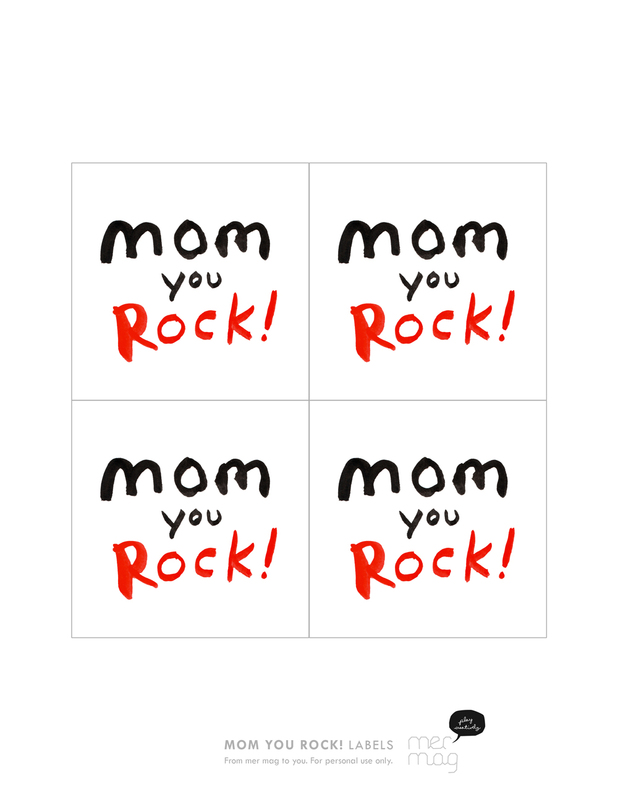 I made a label reading “Mom, you Rock!” and am offering it as printable for you to download should you want to use it. If you don’t have an old jewelry box lying around, you can make your own box using my sisters origami paper box tutorial. A couple of 12×12″ scrapbook papers would be perfect for this which would also alow your rock to be any size (not just thin so that it would fit into a jewelry box). Just click the image below to download. And to enter the Mrs. Meyer’s Outdoor Get Messy contest yourself, head on over to their site. You could win some really great prizes! I mean REALLY great! Now let’s get MESSY, shall we?! These are amazing! What a great idea. Bravo! Amazing, I love this idea ! Look so nice. 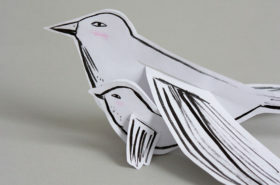 I am going to make them soon too! Thank you for the inspiration. Very sweet idea! Love it! So great. 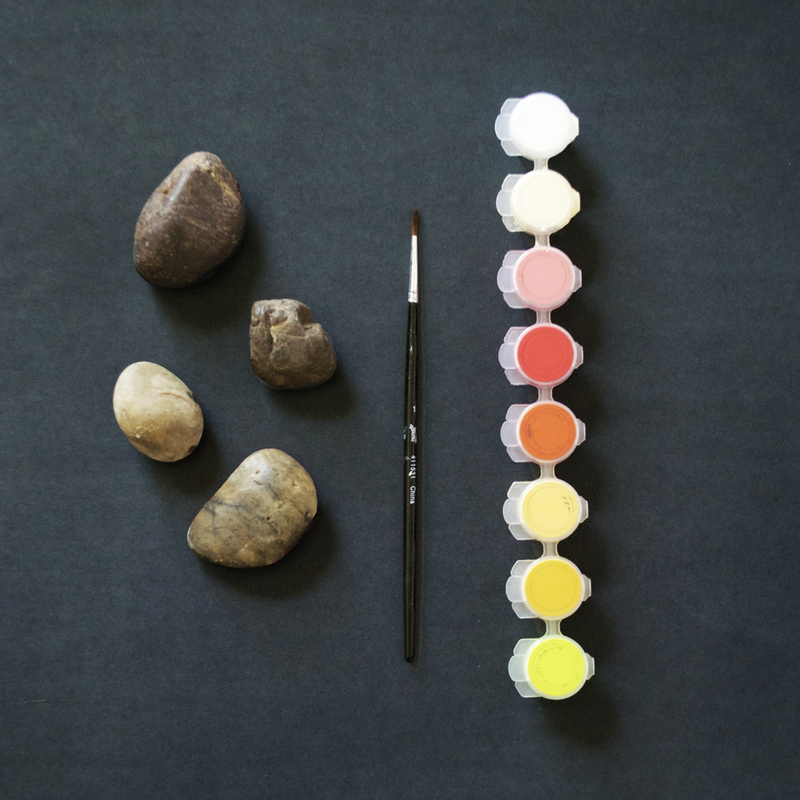 What kind of paint did you use?